HARTFORD — Date unknown, likely early to mid 1950′s. The ambulance came on time, the staff were loving and caring people. (13-97557; G. Geres, R. Fross). Excellent service. This was my first time using the Ambulance Service and I must admit this was a time in my life that made me very nervous and the technicians made me feel very comfortable. I give the technician an A plus for their service. (13-87462; V. Maston, N. Raiola). The medics were very helpful and kind. Great! The student was good too. Very impressed. Made me feel at east and kept my mind off the pain. (13-95988; S. Crittenden, B. Langan). Many helpful skilled staff people. The fact that the business grew and continues to be strong today is a testament to the hard work and ingenuity of this family. Thank you to Aetna Ambulance and the Grady family for all of your support and your patience, providing photos, information and answering all of my questions. Mrs. Grady and her daughters even came to cheer me on at the Regional competition! Mr. Titus’ first-hand account of the fire was chilling. After advancing through the Regional competition at Torrington High School in March, I participated in the State History Day competition at Central Connecticut State University on April 27th. During the interview portion of the state competition, the judges were intrigued by the photo of the two “doctors” loading a patient into an ambulance, and specifically asked about them. The former men’s and women’s bathrooms within the billing office have been demolished as well as the notched hallway walls in order to make way for a new main lobby. The new lobby is taking shape as two glass entry doors have been added and the hallway has been framed. New offices have been framed and drywall has been hung in the rear of the building where the Medicare office once stood and the wall between two of the offices has been removed to double its size. Flooring has been added in the new staging area and locker room. The former main entrance has had the window removed and the cut-out sealed. The next steps are completing those items listed above as well as installing and completing the drop ceilings, moving the lockers, completing the lobby area and adding in the reception area window. The addition and renovation are part of ASM’s continued commitment and investment in the towns it serves. 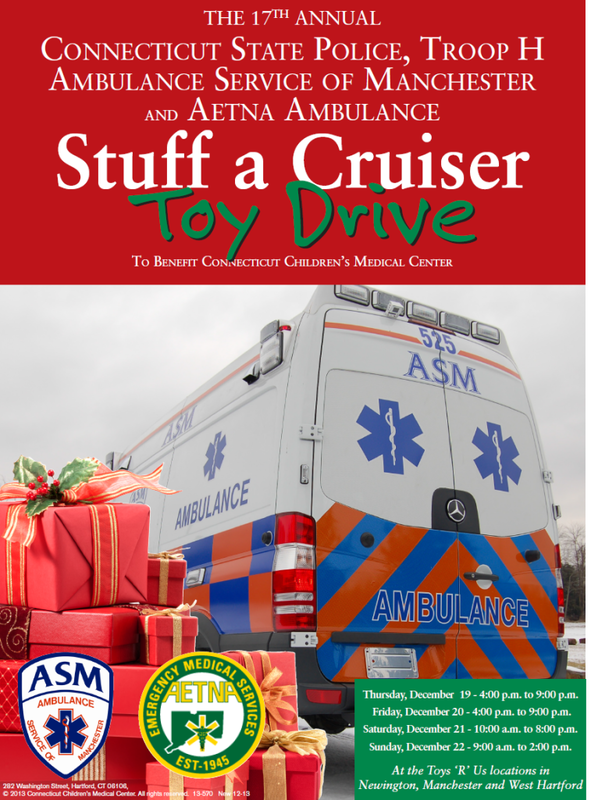 HARTFORD — On December 12, 2013, three EMTs and one Paramedic were added to the Aetna team. As part of our continued growth Aetna and ASM seek out only the best candidates. We look for employees who are focused on high-quality patient care, are team oriented and conduct themselves in a professional manner. During the orientation, employees learn about company philosophy and goals, quality assurance, and policies and procedures. 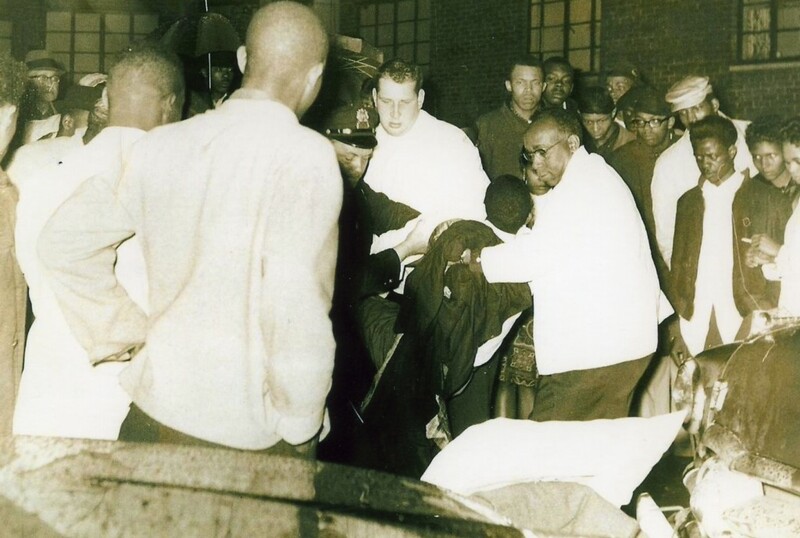 The Aetna Paramedic was Samuel Dybdahl. Samuel Dybdahl: PART TIME, EMT. My name is Samuel Dybdahl and I’m 26 years old. I am just completing a bachelor’s degree in Business Administration and seek to further my career in Emergency Medicine. I have been a combat medic and healthcare specialist in the military since 2008 with one deployment to Afghanistan. I enjoy helping others and furthering my knowledge within the medical field; I would like to pursue a paramedic program in the near future. In my spare time I often compete in physical activities including Duathlon/Triathlons, road races and weight lifting. Ryan Gonska: FULL TIME, Paramedic. My name is Ryan Gonska and I am 23 years old from Torrington, CT. I am a volunteer with Harwinton West Side Fire Dept. and Harwinton Ambulance. I started at Harwinton Ambulance as an explorer when I was 15. I received my EMT in 2008. Shortly after, I got hired as an ER Tech at Charlotte Hungerford Hospital while I was attending classes for the AEMT. Four years later I made the decision to get my Paramedic. I graduated from Capitol Community College in 2012 and I have been working as a paramedic for the past year. In the near future I hope to get my EMSI and start teaching. I am considering going back to school in the to pursue a degree in respiratory therapy or nursing. In my free time, I enjoy cooking, golfing, fishing, and hiking. I am very excited to join the Aetna family. Steve Spaderna: PART TIME, EMT. My name is Steve Spaderna and I am a new EMT! Prior to attaining my EMT certification I earned my bachelor’s and master’s degrees in Biology from CCSU. I worked for about five years in genomic research as part of a team that was looking at human gene expression for potential drug targets. Then deciding I didn’t want to be stuck in a lab all the time, I spent about seven years working as a drug rep for large pharmaceutical companies. During my time as a drug rep I became increasingly interested in patient healthcare. I just didn’t feel fulfilled in my last occupation, so I made the decision to go back to school with the goal of eventually becoming a physician assistant. Over the last couple years I have been getting pre-requisite credits done while interning at a doctor’s office for required clinical hours. Physician Assistant programs are extremely competitive and difficult to get into, but I am hoping to eventually get accepted. Personally, I am kind of a science nerd and enjoy learning about anything and everything. I watch Discovery and The Learning Channel a lot (Untold Stories of the ER!) and I have a passion for science fiction. For an interesting combination, I also happen to be really into weightlifting. I am super excited to be part of the Aetna team and I am looking forward to the opportunity to be a patient advocate! Kat Stewart: FULL TIME, EMT. I’m a new EMT I finished the Hartford Hospital EMT program in July. This is something I have wanted to do since high school but I never had the chance. So after I graduated college and worked a few different jobs I finally made my chance happen and absolutely fell in love. I aspire to one day go to paramedic school. At the age of almost 26 I can finally say I’m on the right career path. I’m very excited to be part of the Aetna team and look forward to seeing you on the road. The best! Professional and caring and worked extremely well as a team. Thank you for all you do! (13-97292; S. Crittenden and B. Langan). The EMTs probably unknowingly saved my life. I called 911 and I didn’t know who would come. They were very professional and caring and made sure my apartment was secure. (13-97706; T. Oliver, M. Sparks). Very kind and comforting. Felt very safe and knew I would be taken care of. (13-97497; S. Allen, D. Rice). Fast and great. The East Hartford Paramedics and the 2 ambulance guys were super. I had great service by all. 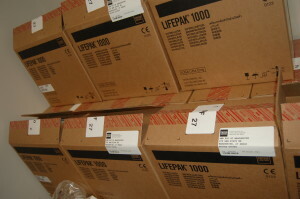 MANCHESTER and HARTFORD — Aetna Ambulance and the Ambulance Service of Manchester have purchased new LifePak 1000 Automated External Defibrillators (AEDs) for use on every Basic Life Support unit in both fleets. 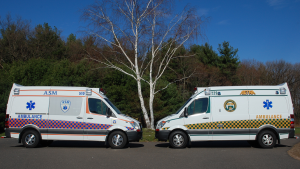 As one of (reportedly the first) commercial ambulance service in Connecticut to equip every BLS unit with this life saving piece of equipment, it was critical to continue the capability with new technology. Each Paramedic Unit at Aetna and ASM use LifePak 15s capable of wireless transmission of 12-lead EKGs, external pacemaking, cardioversion, CO detection, non-invasive blood pressures and end tidal CO2 monitoring (specification arrangement also known as fully configured). 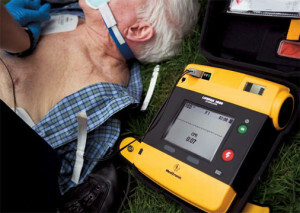 LifePak 15s are used on a daily basis whereas AEDs see use on a rare occasion but have a significant impact for those patients. Typically the CPR and defribillation performed when these AEDs are used is the first skilled services provided to a patient in a life threatening situation. Construction of the new classroom space is complete, with kitchenette and is awaiting drop down screen and AV equipment. The main restrooms are complete and in-service. The Medicare and accounts payable sections of the billing office are complete and those billing agents have moved into the new space. The ancillary/back hallway has flooring and new door. The old men’s and women’s bathrooms have been demolished as well as the hallway walls to make way for a new main lobby. 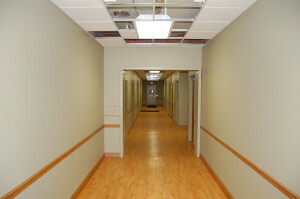 The old Medicare billing office and collections area are awaiting demo and construction of a new hallway that passes through from the call-taking area. Demo of old bathrooms where new lobby will be. New Medicare office being unpacked. Demolition of the old Collection area of the billing office. Locker room, walled off to the training room. The next steps are mainly listed above but include the construction of new offices and hallways, moving the lockers into a new area and completion of a new lobby and main entrance.